Happy Halloween! If you’re lucky, it’s the one time of the year you can really frighten yourself with horror movies, haunted houses and an unhealthy amount of candy corn. What you don’t want to feel is that fear in the pit of your stomach when you survey your household finances. No matter what costume you wear today, you are still human, and you make mistakes. However, when these mistakes have to do with your finances, the risks can be scary. These seven terrifying financial scenarios can haunt you for years, but with the right tools, you can avoid and overcome them. 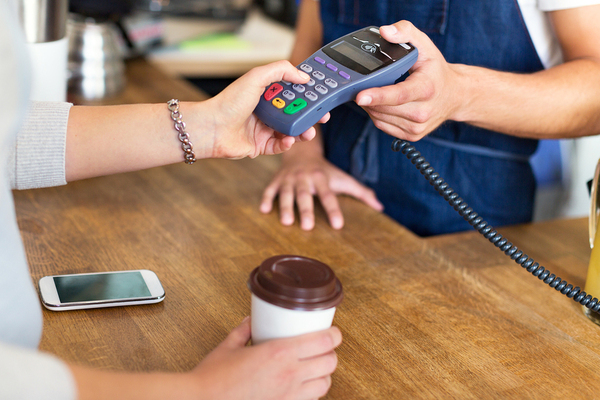 Since the mid-1950s, credit cards have allowed consumers to use a single payment method at a variety of retailers, bringing higher purchasing power and an increased potential for debt. Unfortunately, that debt has trapped thousands of Americans in a cycle that can be hard to escape; according to a recent report from the Federal Reserve, credit card debt is now the most widely held debt by American families. Don’t Be Tempted by Credit Limits: One of the ways credit card companies entice you to pay more is by increasing your credit card limit. However, that extra spending power will still need to be paid off, so create your own budget that isn’t based on your credit limits. Pay in Full and On Time: Credit card interest rates can increase your balance so quickly you’ll feel like you didn’t even notice. Always try and pay your balance in full, and never make a late payment as you’ll incur additional fees that get factored into your overall balance. Leave Them Home When You Can: The less you can rely on credit cards, the healthier your financial situation will be. Get into the habit of leaving your traditional credit cards at home, so they are really only to be used for true emergencies. An Urban Institute study released in March 2017 found that almost one-quarter of non elderly adults carry overdue medical debt. If you’re faced with unexpected medical debt, you can take some relatively simple steps to start getting it resolved. First, make sure you actually do owe the debt. 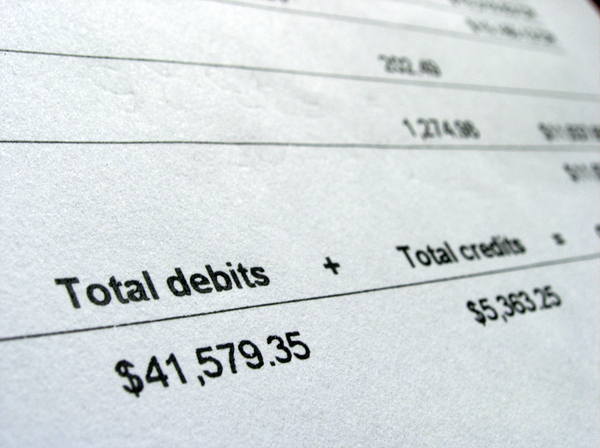 Billing mistakes happen and are quite common, so question every charge you see on your bill. Have providers explain items you don’t remember or that don’t sound familiar, and get in touch with your insurance company to confirm. Often, additional costs come from denied claims—which also can happen in error—so appeal any areas of your claim which don’t sound right. You can also try asking your provider directly if there is a payment plan or discounted fee structure that will help you relieve some of your burden. Having an emergency fund set aside will help protect you in the case of major medical emergencies. If you do have a separate savings account and use it for your immediate healthcare costs, focus on rebuilding it, so you are covered the next time a surprise comes up. Exorbitant overdraft fees will haunt your purchases. One of the most frightening financial sights is the overdraft fee. The Consumer Financial Protection Bureau reports the average overdraft fee to be around $34, and many a story has been told of stopping in to pick up a $2 coffee, only to get hit with a $30 overdraft fee. That’s one expensive coffee. Overdraft protection, the service that lets you make purchases with your debit card even if you don’t have enough money in your account, is actually a voluntary feature banks offer. You can opt out to avoid paying the overdraft fees that come with overdrawing your account. Your life is stable until it isn’t—and unexpected job loss can be a major obstacle to overcome. Your spending patterns and lifestyle are predominantly dependent on how much you make, but when that number drops to zero, you still have to go on paying for things. Having an emergency fund of three to six months salary set aside will help you weather the immediate storm as you look for a replacement job. You may try picking up some extra work on the side opportunities, doing surveys online for money or putting your skills to use as a freelancer. Scour your closets and start to sell some stuff online or at a yard sale. It is crucial, however, that you don’t continue spending what you did before you lost your job. Cut expenses everywhere you can, and use tools that allow you to use your cash on hand safely, securely and digitally. You need your car-but what if it needs an expensive repair? Could you imagine life without your car? Unless you are in walking distance or have public transportation options to work, shopping and your daily activities, your car is a lifeline. So what if it breaks down? You may be able to get by without a dishwasher, but some home appliances, like a fridge, are necessary. But when a major appliance breaks, you don’t necessarily want to run and put a new one on your credit card! Instead, get creative and try to find a solution that won’t add to your debt. First, see if there is someone else responsible. Are you renting your place? Your landlord may be required to replace your broken appliances, meaning no cash out of your pocket. Check any warranty or insurance information you have to see if repair or replacement is covered in policy documents. Finally, check with family members or friends to see if anyone is planning a remodel—they may be thrilled that you’re willing to come pick up a bulky appliance. Statements starting to look scary? Time to make a change. It doesn’t necessarily take a massive life disruption to impact your finances negatively. If your credit card monthly minimum payment reaches an amount you can no longer afford, your debt will start to snowball. The same goes for late payments on rent or any other required bills; you never want to be playing catch-up. As with other financial fears, start talking to your creditors and lessors immediately if you feel you are going to start falling behind on your bills. You may be able to restructure some of your debts and implement payment plans that are easier on your wallet. Importantly, never stop making payments on your bills, as this will negatively impact your credit and may put you on the hook for additional fees. Using Green Dot’s banking solutions for your everyday needs means you get the ability to use your hard-earned cash digitally and you have built-in tools for your long-term money management. You can access direct deposit, and keep yourself on a working budget that avoids these terrifying financial scenarios. Get Your Green Dot Prepaid Mastercard® or Visa® Card today, and start turning your finances around.